as darkness limits heart and sight. a crack appears beside her door. light is restored as it has been. So find that brightness at your core. Perpetual darkness is a bore. This entry was posted in Eclipse and tagged Daily Post, Daily Prompt, Eclipse on September 4, 2016 by lifelessons. What shadow bigger than a lunar eclipse? 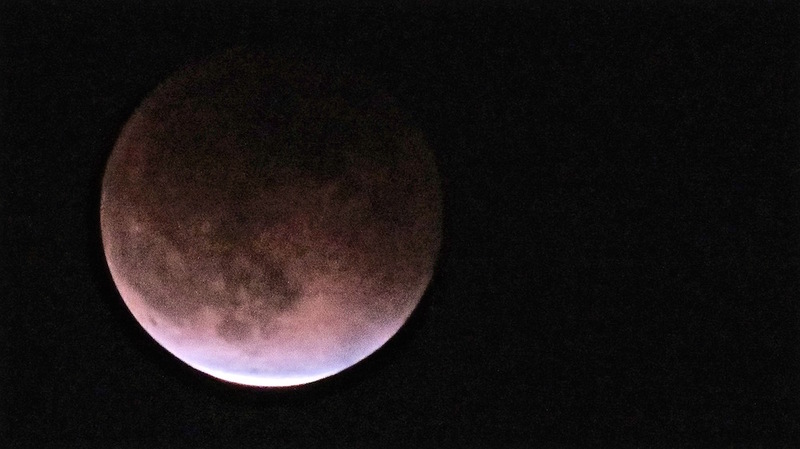 I am lucky enough to have seen the eclipse of two blood moons in Mexico. Below are photos or links to photos of each, along with a rewrite of a poem I wrote after witnessing the first one. around it, scattered stars and tall palm tips. chewed at by shadow, slowly wane and die. the beauty of this dark moon newly coined. Then once again the moon’s edge came to view. and for an hour, I watched as moonlight grew. as light increased and shadow slowly waned. Inevitably, once more light had won. The ending known, no mystery remained. This poem is written in terza rima, a form invented by Dante and used in The Divine Comedy. It consists of three-line stanzas, with a “chained” rhyme scheme. The first stanza is ABA, the second is BCB, the third is CDC, and so on. No particular meter is necessary, but English poets have tended to default to iambic pentameter. One common way of ending a terza rima poem is with a single line standing on its own, rhyming with the middle line of the preceding three-line stanza. This entry was posted in Eclipse, Uncategorized and tagged Blood Moon, Daily Post, Daily Prompt, Eclipse, eclipse of a blood moon, eclipse of the blood moon, image of blood moon eclipse, Image of eclipse, photos of the blood moon, Shadow, Shadows, Terza Rima on May 6, 2016 by lifelessons. Since we also had a full Lunar Eclipse in 2014, I’m reblogging a poem I wrote for the first one. The photos are also from that eclipse. 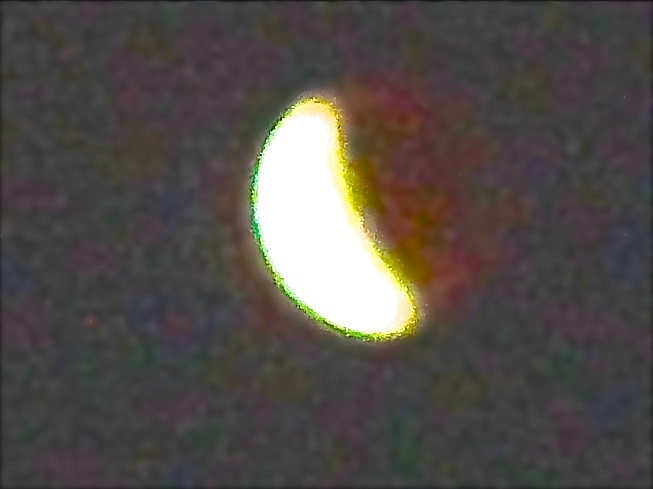 I was able to capture the full eclipse last time, but the cloud cover prevented that this time. 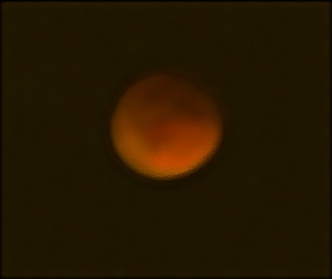 I did capture it for most of its cycle, however, and you can view tonight’s pictures HERE. Our prompt today was to write a poem in terza rima, a form invented by Dante and used in The Divine Comedy. It consists of three-line stanzas, with a “chained” rhyme scheme. The first stanza is ABA, the second is BCB, the third is CDC, and so on. No particular meter is necessary, but English poets have tended to default to iambic pentameter. One common way of ending a terza rima poem is with a single line standing on its own, rhyming with the middle line of the preceding three-line stanza. This entry was posted in Eclipse, Poem, Poetry and tagged Blood Moon, Eclipse, Image of eclipse, Judy Dykstra-Brown poem on September 28, 2015 by lifelessons. One occurrence that is viewed the world over is the eclipse. In Mexico, there are still some rituals practiced. Parents tie red cloth around their children’s wrists and the necks of animals–dogs, cattle, horses–and farmers protect their crops in the same way by tying red cloth around gates or fence posts. I wrote about my own lunar ritual over a year and a half ago when few present viewers were reading my blog. My poem was written in complicated terza rima–a form explained in that post. To read my poem about the eclipse, go HERE. In response to The Daily Post’s writing prompt: “Daily Ritual.” Think about your day. Select one of your daily rituals and explain it to us: why do you do what you do? How did you come to adopt this ritual? What happens on days when you can’t perform it? This entry was posted in Beauty, Eclipse, Moon, NaPoWriMo, Poetry, Terza Rima, Terza Rima Definition, Terza Rima Examples, Terza Rima Poetry and tagged Beauty, Blood Moon, Eclipse, Moon, NaPoWriMo, poem, Poems, sky.Terza Rima, Terza Rima Examples, Terza Rima Poetry on April 15, 2014 by lifelessons.